We’ve all heard the saying before: “Garbage in, garbage out.” Poor quality input will always result in poor quality output. This adage is certainly true when it comes to the cleanliness of your CMDB. It’s nearly impossible for an IT organization to make informed decisions, deliver services efficiently, and provide a superior user experience without high quality data flowing through its systems. It’s no surprise then that IT data accuracy and the risk of suspect data remains a key concern among IT leaders—especially when the stakes are sky-high. From an ITAM/ITSM perspective, poor quality data can have major impacts on costs, efficiency, governance, and security. The existence of poor quality (or outright inaccurate) data in your CMDB will lead to incorrect classification. I’m not talking about how everyone classifies a category for their incidents and problems in their ITSM tool. I’m talking about the second layer of classification, which outlines what is affected by a particular incident or problem. When your CMDB is filled with outdated data and misinformation, you have limited visibility of the impact, and it’s extremely difficult to link issues together. Conversely, when you have a CMDB with accurate data and links to additional information, it’s easy to understand what the impact of an incident or problem is on the various systems in your organization. Like Incident and Problem Management, you have limited visibility into the impact of your changes without high quality data in your CMDB. For example, perhaps you want to make a change and there’s a possibility of conflict with someone else’s change. With an accurate CMDB, you’ll be able to see the impacts of your change and whether or not you can make both changes together. It will also make the tracking of changes on equipment easier. You may want to know how many changes you’ve made to a specific piece of equipment—for example, if it’s faulty and you want to see how many repairs were made over its lifecycle. It’s crucial in this case to have this information tracked by your CMDB. Poor quality data is a huge issue when it comes to ITAM for a number of reasons but especially when it comes to financial impacts, asset refreshes, usage misunderstandings, and equipment loses. A CMDB with incorrect data can’t provide you with the accurate financial impact from your license usage. Additionally, not knowing what assets you have in the field or how they are impacting each other will become a huge issue when it’s time to replace equipment. Misunderstanding how your equipment is used or who’s using what and when has a big impact when it comes to refreshes. Lastly, it’s shockingly easy to lose track of expensive equipment when you’re lacking quality data and a proper discovery tool. There are significant organizational impacts related to poor data quality as well. Unplanned downtime can occur when you’re unintentionally making conflicting changes. And that downtime often results in loss of revenue whether directly or indirectly. In the manufacturing world, for example, one bad change could turn into a nightmare in terms of production. Consequently, unplanned downtime that impacts the business and revenue naturally fosters a bad perception of IT. Now that we’ve covered the consequences of bad and incomplete data flowing through your CMDB, I recommend checking out the on-demand webinar I recently co-hosted, “Why Can’t I Trust You? IT Asset Data Quality Pitfalls and Opportunities.” It focuses on what you should do to maintain high quality CMDB data, including best practices and tips for successful CMDB adoption, tool selection criteria, and automated discovery methods. Benoit Tessier, EasyVista Director of Product Marketing, is an IT veteran with 20+ years of professional IT Service Management experience. He has extensive knowledge on process implementation and technical integrations, and has presented at ITSM conferences around the world. 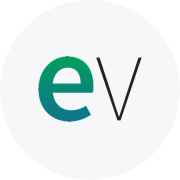 In this role, he helps lead the marketing direction and strategic vision for EasyVista’s services and solutions.